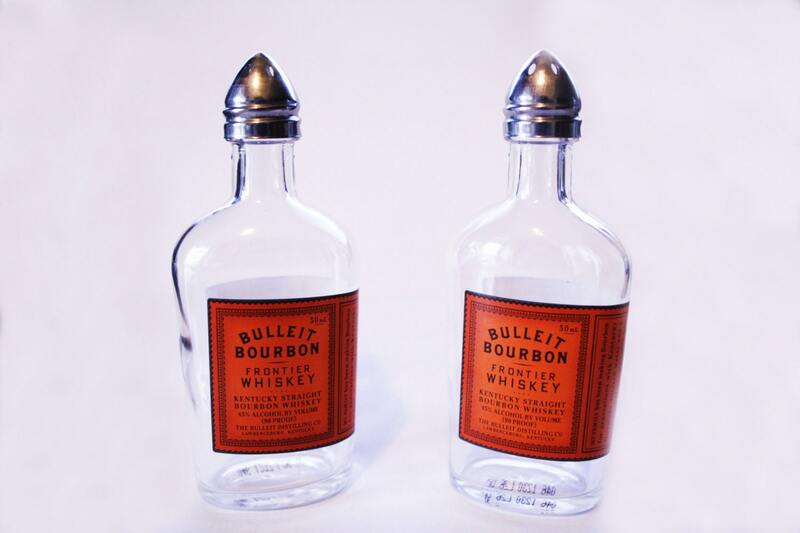 These 50ml *airplane sized * glass Bulliet Bourbon Bottles have been artfully crafted into these nifty salt and pepper shakers. 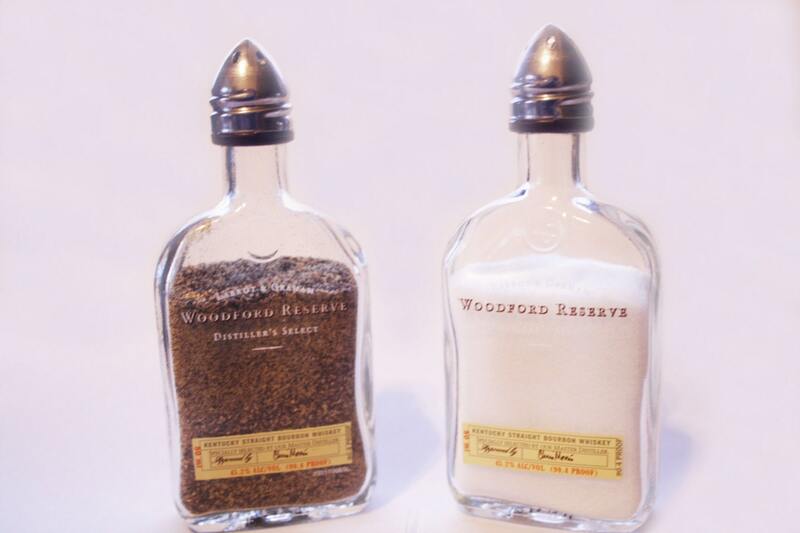 Looking for a unique gift for the person who is hard to buy for? Picture shows what they look like filled. Other spirit sets also available. Don't see it just ask.